Each year we hold a Two-Day Dogs and Birds Workshop in Windsor, UK. The next one will be on 31 May and 1 June 2019. It will include live demonstrations with Elza’s students. This two-day workshop will cover all aspects of the Dogs and Birds approach. Day one will be concerned with the material in Book 1, the Nursery Rhyme book and the various musical elements. Day two will cover Book 2, the Sol-fa book and the switch to conventional music. 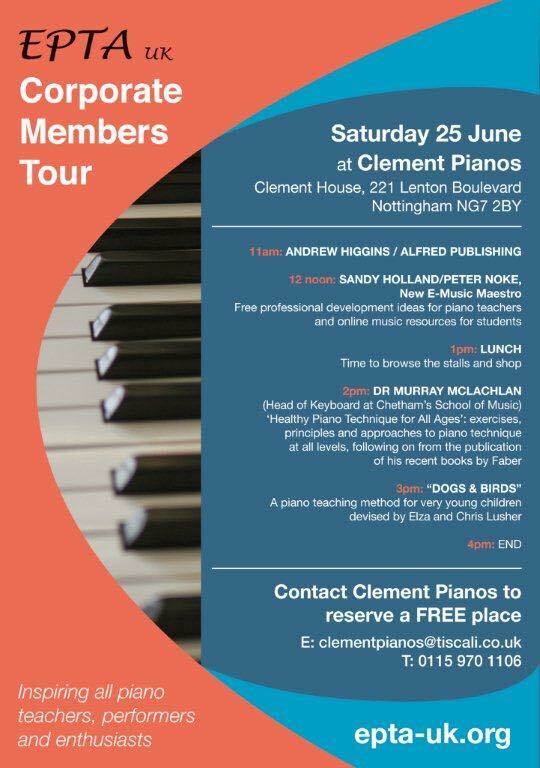 This course is aimed at piano teachers and music teachers, and delegates can attend either day or both days. Download more information on the workshop and an application form here. We will again have a stall at the next Music & Drama Education Expo. Please come and visit us at stand G21 and learn more about the Dogs and Birds approach. Find out more about this exciting event here. The first demonstration of the Dogs and Birds approach to Hungarian piano educators, using video footage of Elza’s lessons. Download an application form » here. Free event, open to all. Book your place here.